DUBLIN, Calif., Sept. 19, 2017 (GLOBE NEWSWIRE) — Callidus Software Inc. (NASDAQ:CALD), a global leader in cloud-based sales, marketing, learning, and customer experience solutions, announced today that it has acquired OrientDB Ltd., a leading provider of multi-model database technologies. OrientDB is the first multi-model, open source NoSQL database that combines support for graph, document, key-value, geo-spatial, object-oriented and reactive models into one scalable database. CallidusCloud is using this next generation database in its Direct Selling Pro solution for the multi-level marketing industry, and plans to enhance other applications in the CallidusCloud Lead to Money Suite with this innovative new technology. Multi-model and graph database technology is used by some of the world’s leading consumer and enterprise companies due to its speed, flexibility, and scalability. Fortune 500 companies, government entities and startups alike use OrientDB’s multi-model technology, with open source downloads exceeding 70,000 per month. Customers include Accenture, Cisco, Comcast, Pitney Bowes, Sky, and the United Nations. 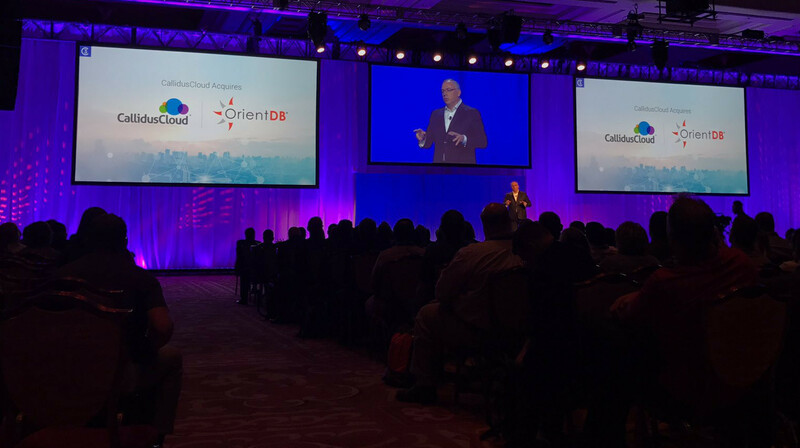 CallidusCloud will continue to enhance the technology, expand the customer base, and support the OrientDB open source community. For more information about OrientDB, please visit www.orientdb.com. Callidus Software Inc. (NASDAQ:CALD), doing business as CallidusCloud®, is the global leader in cloud-based sales, marketing, learning and customer experience solutions. CallidusCloud enables organizations to accelerate and maximize their lead to money process with a complete suite of solutions that identify the right leads, ensure proper territory and quota distribution, enable sales forces, automate configure price quote, and streamline sales compensation — driving bigger deals, faster. Approximately 5,700 leading organizations, across all industries, rely on CallidusCloud to optimize the lead to money process to close more deals for more money in record time. ©2017 Callidus Software Inc. All rights reserved. Callidus, Callidus Software, the Callidus Software logo, CallidusCloud, the CallidusCloud logo, Clicktools, SURVE, syncfrog, TrueComp Manager, ActekSoft, ACom3, iCentera, Webcom, Litmos, the Litmos logo, LeadFormix, Rapid Intake, 6FigureJobs, RevSym, OrientDB and LeadRocket are trademarks, service marks, or registered trademarks of Callidus Software Inc.